Every so often I do some Googling to see what people using to help deal with the appearance of their keratosis pilaris (KP). Sometimes referred to as "chicken skin", KP is a genetic condition that causes bumpy, uneven-looking skin on my legs and it's harmless but I hate it. Anyway, this odd little cloth came up. The Salux beauty skin cloth is a nylon/polyester washcloth that promises to stimulate circulation. 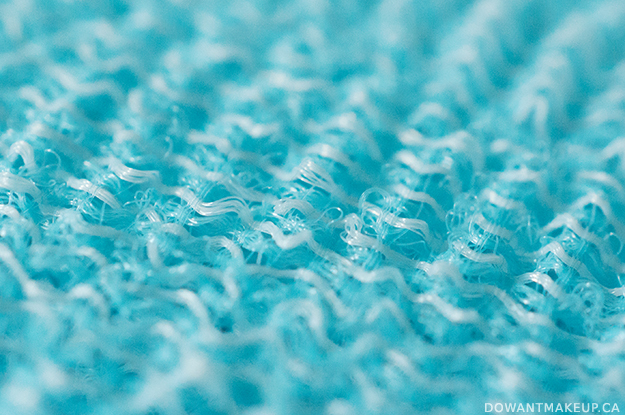 The buzz was that it was a super scrubber that helped bust KP and ingrown hairs. Salux sells it to Canadian customers for $11 on their website, with discounts if you bought multiples. (It's almost half the price for US customers, by the way :<) $11 seemed a little steep so I put off buying it. Good thing, because I randomly spotted it in a Korean market while grocery shopping for $5! \o/ Of course I'm gonna buy it! At 28 x 90cm, it's a good length and width to reach your back, and lathers up very quickly with bar soap or body wash (I've been using it with LUSH products). And yes, this thing really is abrasive. I once described the Jealous Body Scrub as the most satisfying scrub-down I've ever had, and the Salux cloth is very comparable to that. Because it's so easy to use--just lather up and go!--I've been using it frequently and my legs are suuuuper smooth. Like, smoother than ever. Not sure that I see a difference in my KP personally, but I'm not going to complain because I can't stop rubbing my legs. 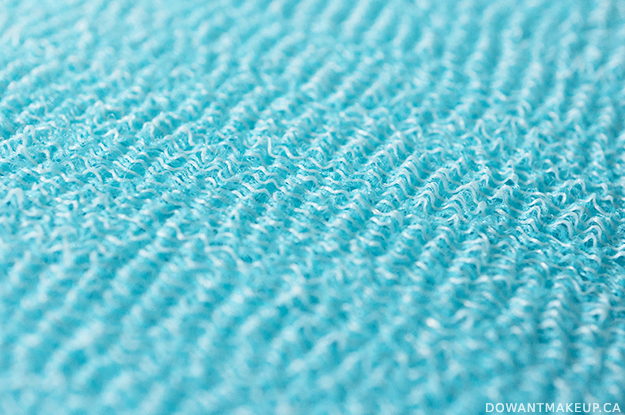 I took a few macro shots of the weave of this cloth and then kept taking more because the pattern was so mesmerizing. Look at it. So yes, Salux. Definitely worth the $5, much recommend. Canadians, try lurking your local Japanese or Korean market for it, since it's twice as expensive if you buy online. I would never use this on my face because it is so abrasive, but it's great for getting baby-smooth everywhere else. FYI there are quite a few imitation and knock off Salux cloths out there. 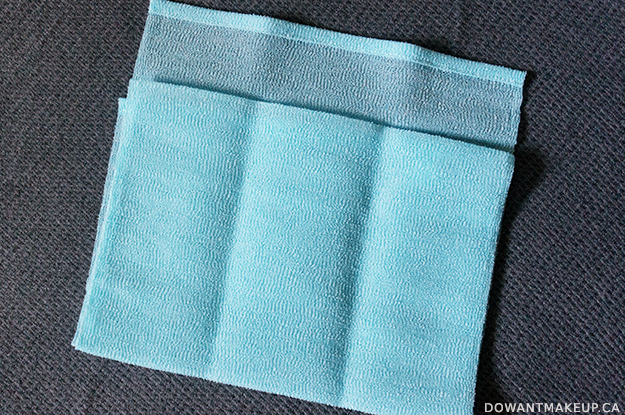 No idea how well they work, but a Salux cloth should be 60% nylon and 40% polyester, and it is always made in Japan. How do you scrub down in the shower?